Learn what you need to know about chatbots to engage your prospects and customers on your website. Chapter 1 - What is a Chatbot? Learn about chatbots and how people are using chatbots. Chapter 2 - Why Do I Need a Chatbot? Learn why chatbots are changing the business world. Chapter 3 - How Does a Chatbot Work? Learn how chatbots work. Chapter 4 - How to Build a Chatbot? Learn how to build a chatbot. Chapter 5 - How Much Does it Cost to Build a Chatbot? Learn about the cost of building a chatbot. Chapter 6 - Chatbot Case Studies Learn about how these companies are using chatbots to grow their business. 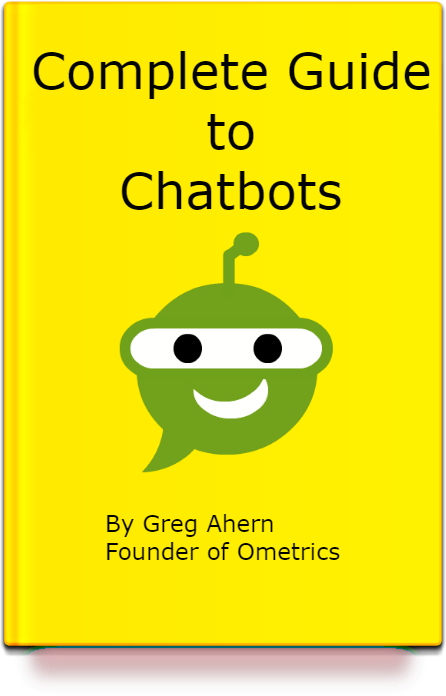 Chapter 7 - Chatbot Best Use Practices Learn about the best use practices for implementing a chatbot. Chapter 8 - Glossary of Chatbot Terms Learn all the terms surrounding chatbots.